All eyes were on the radiant royal. They don't call it a pregnancy glow for nothing. As Duchess Meghan stepped out at the Royal Albert Hall on Wednesday, January 16th, all eyes were on the radiant royal who looked stunning in a sequined Roland Mouret gown that embellished her baby bump in all its glory. In fact, it would have been difficult to find a person in attendance who wasn't transfixed by Meghan as she attended the Cirque de Soleil charity performance with husband Prince Harry. And her glowing demeanour could only mean one thing - this royal is very excited to become a mum! Wearing her hair in her signature low-bun, Meghan's fitted floor-length blue gown cut an elegant figure on the pregnant royal, which she accessorised with a Givenchy Black Satin Clutch and Stuart Weitzman black heels. But it was an additional accessory worn on her wrist that proved to be the real showstopper of the night. Meghan wore striking a gold and black bracelet that had once belonged to Princess Diana - a touching tribute to her late mother in law. 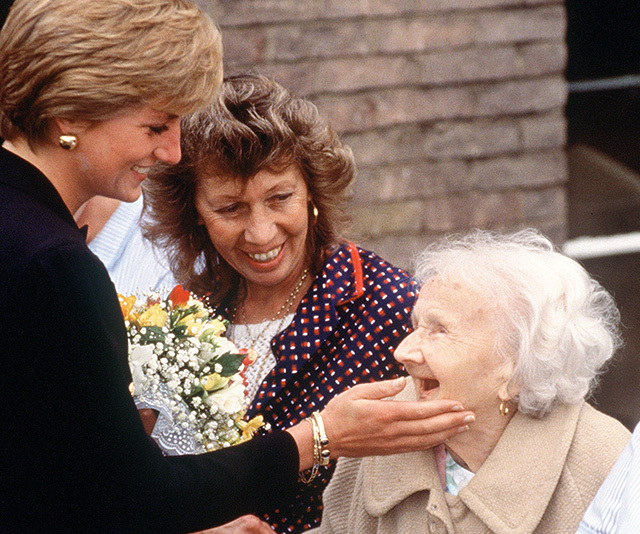 Diana was seen wearing the bracelet in 1990 during a visit to an elderly people's home in Newham, London. Swipe to see the similarities below! This isn't the first time the Duchess has worn a Roland Mouret style - she wore the high end fashion designer on the eve of her wedding in May 2018, as well as at a private dinner function in November. Ahead of the performance on Wednesday, Harry and Meghan greeted representatives from the charity Sentebale, which supports young people who are affected by HIV in South Africa. The couple then waved at onlookers in the audience before sitting down to enjoy Cirque du Soleil's Totem. While the pregnant Duchess radiated glamour, it wouldn't be surprising if she had stifled a tired yawn - mere hours before, Meghan attended another engagement at dog charity Mayhew HQ. Meghan looked just as chic in a cream ensemble consisting of an Armani coat and and an affordable H&M maternity dress. And hitting the ground running for 2019, Markle also attended her first joint outing with Prince Harry earlier this week in Birkenhead. 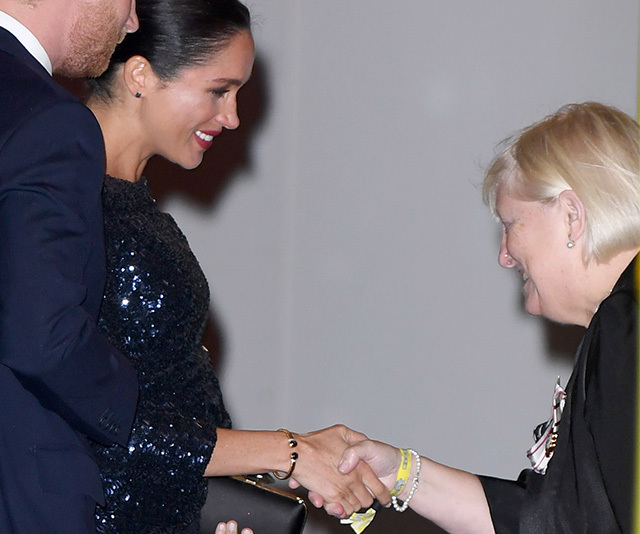 During the event, Markle even revealed her due date to a well-wisher during the engagement - "She said she is six months pregnant and due at the end of April, beginning of May," the fan revealed. The Birkenhead engagement also saw a sweet connection between Meghan and Princess Diana's wardrobes - the Duchess' purple and red outfit was reminiscent of several ensembles her mother-on-law had worn. It's clear the two stunning royals share very similar tastes!